RIPON, Wis. — Michael Finkelstein’s newest Laundry Land location in Portsmouth, Va., delivers a level of excellence that rises above others in his market, says commercial laundry equipment maker Huebsch. It’s been his commitment since starting in the business 13 years ago, one that’s earned Finkelstein the Huebsch Store Owner of the Quarter honor. 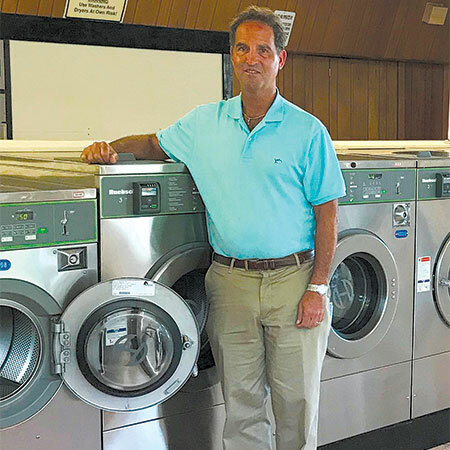 The new Portsmouth location features a wide variety of capacities to match the needs of all the laundry’s customers, with Huebsch units featured prominently, including a pair of 80-pound washer-extractors. Laundry Land includes beverage and snack machines as well as video games to keep children occupied. Customers also have appreciated the store’s loyalty program, which rewards them with a free wash after nine washes. Meanwhile, debit/credit card acceptance as well as a cash option create user-friendly payment flexibility. The store’s wash-dry-fold business has been equally strong for Finkelstein, growing roughly 20% since it opened in November 2017, Huebsch says. Staying active in marketing, Laundry Land’s website serves as a base for customers to stay up to date, while Google AdWords helps keep the Portsmouth location (and others) visible for prospective customers searching for their services. “Newcomers to this industry should aspire to follow Michael’s lead, both in the quality of the laundries he operates, as well as the way he treats others; a consummate professional,” Rowen says.